It took us some time to find a beautiful and appropriate name for our guesthouse. 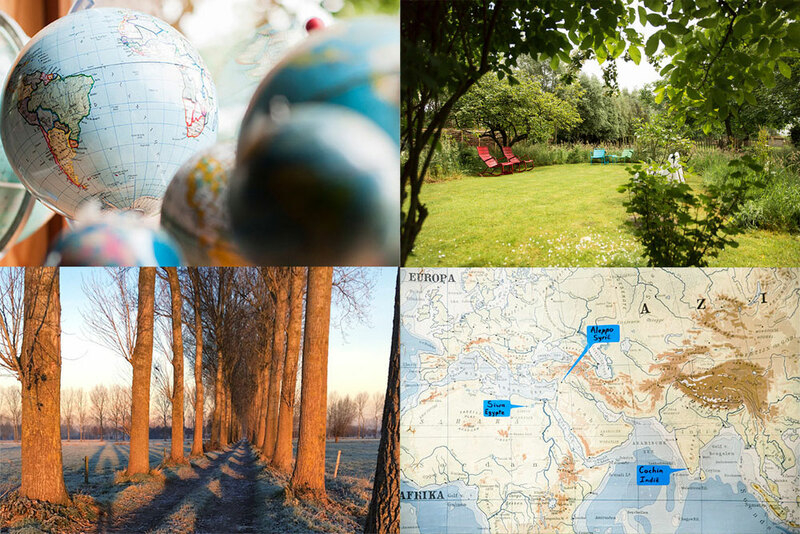 We wanted to include elements of the location, its beautiful countryside and also make a reference to our great passion: travelling with a world-wide view. We offer you fantastic views on the surrounding meadows and countryside and you'll stay in a place packed with travel stories. Bruno has a passion for languages, other cultures and vintage items. He likes to be in the garden, he makes jam and marmelade with the fruit from the orchard. He works as an educator in the youth care. Petra spends a lot of time in her country kitchen. She loves to cook and bake and she is fond of textile crafts. She works as kindergarten teacher. Together we enjoy travelling around Europe in our VW California camper and with our backpack we explore the other continents. When we are at home, hospitality in the guesthouse with a no nonsense twist comes first. 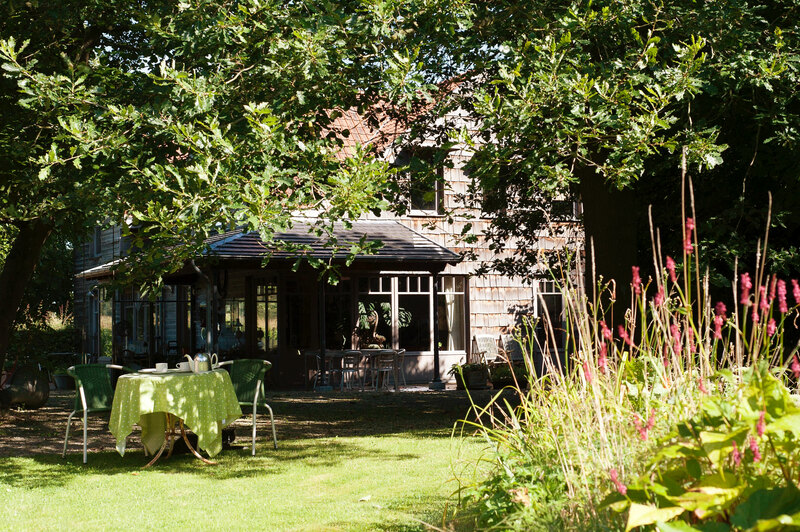 The renovated country house is on the edge of the nature reserve, called 'Beverhoutsveld'. It is a quiet area, only 6 miles from Bruges. With recycled and eco-materials we realized a cosy home. The interior of our guesthouse is a mix of bohemian style, vintage and items brought back from our world travels.